Winning pitcher Alex Amoroso tossed a 3-hitter. 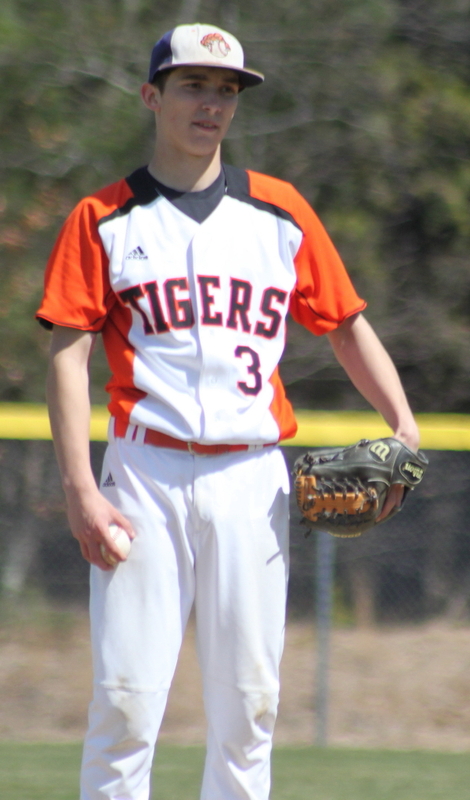 (Ipswich) Ipswich made two unearned runs stand up as they defeated Amesbury, 2-0, on a sunny Tuesday morning in Cape Ann League baseball action. 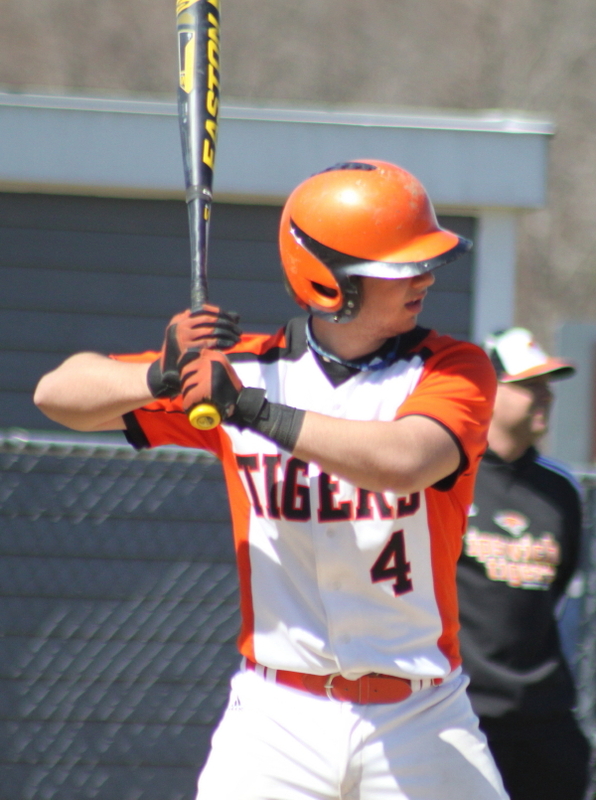 The Tigers (1-2) were limited to three hits by Amesbury’s Andy Reidy but took advantage of extra at-bats, due to errors, in the third and fifth innings to get the runs they needed. 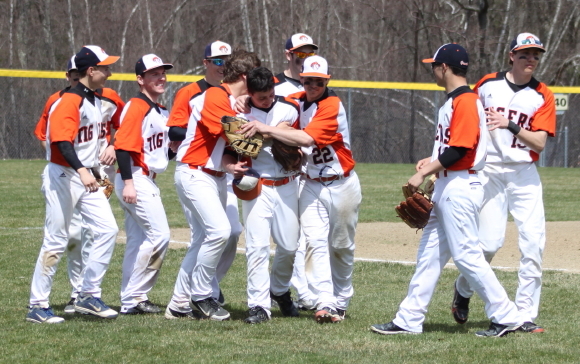 Ipswich starter Alex Amoroso was the MVP (in my opinion) for the Tigers. 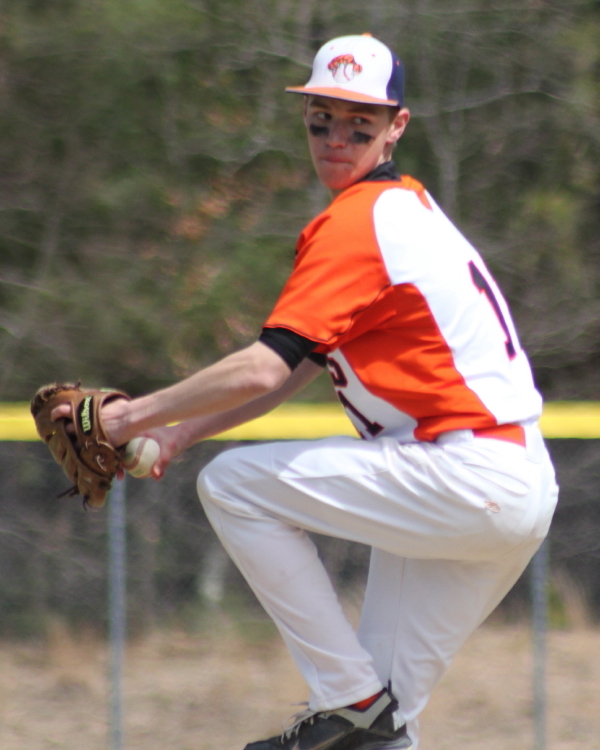 The IHS senior scattered three singles over six innings, scored the first Ipswich run, and drove in the second run. 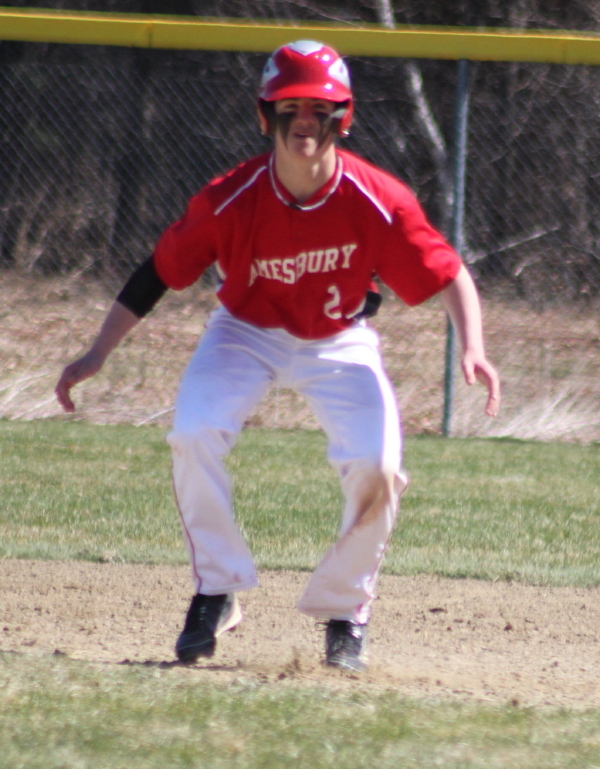 Although Alex scattered three singles there are other ways to get on base and Amesbury used them. 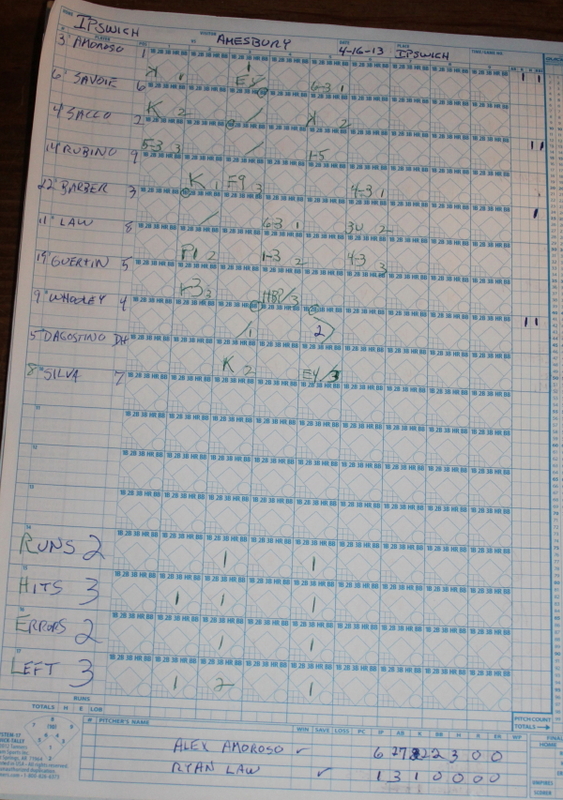 In five different innings the Indians had runners in scoring position but a clutch hit never surfaced. 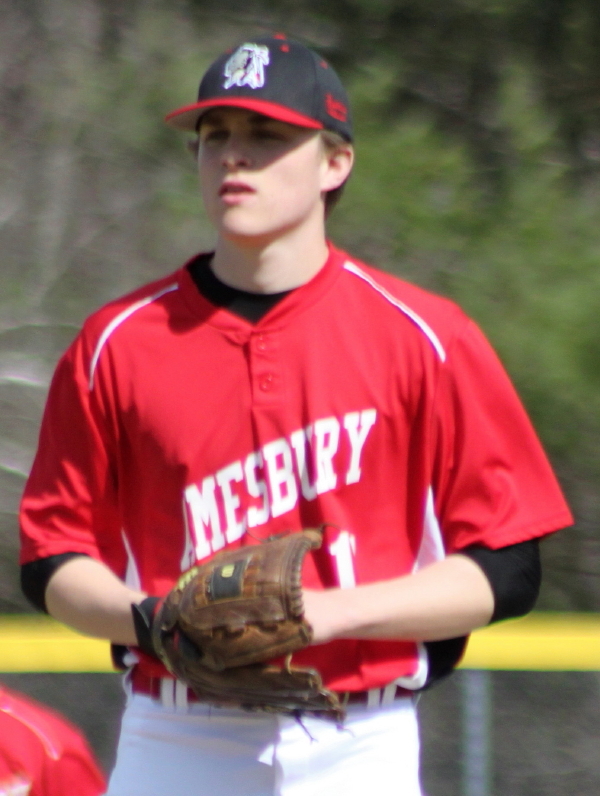 Amesbury had their best scoring chance in the fourth inning. 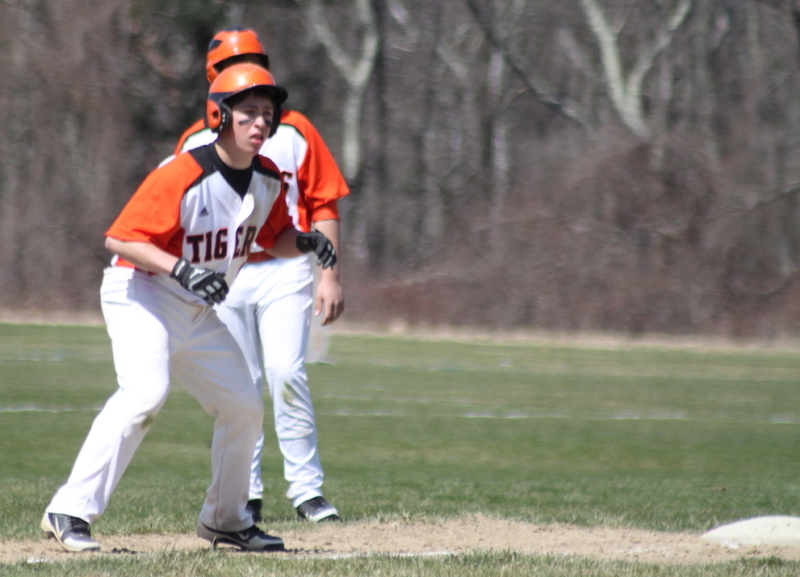 Devlin Gobiel reached on Ipswich shortstop Mike Savoie’s error and Zack Fitzgerald (two hits) followed with a walk. A fielder’s choice by Jack Fortin left runners on first and third with one out. Jack then stole second but Alex Amoroso escaped without any damage as he got both Adam Ivancic and Ben Cullen to pop out. Ipswich took the lead in the third inning. 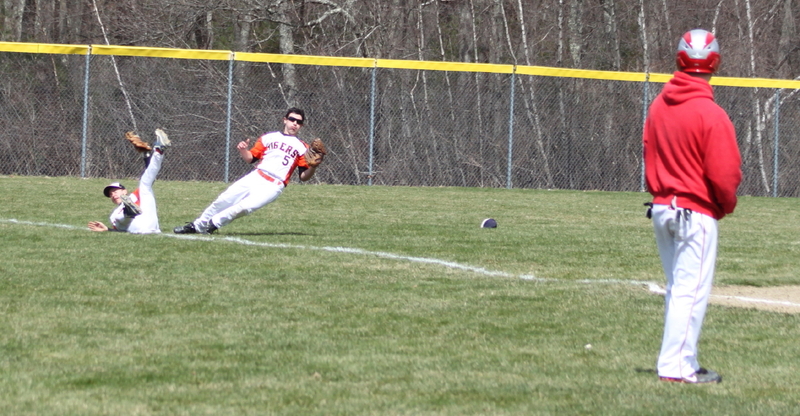 Alex Amoroso reached first when third baseman Zack Fitzgerald couldn’t field his grounder with two outs. Two pitcher/catcher problems allowed Alex to get to third. 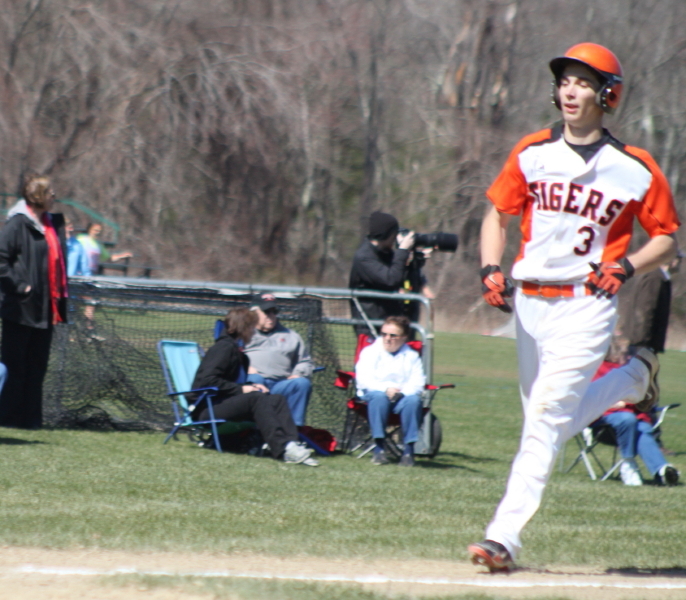 Henry Sacco lined a single to left driving home the first Tigers run. In the fifth, Ipswich got a second tainted run. Sean Whooley started the inning doubling over Adam Ivancic’s head in left. Dan D’Agostino followed with a bunt attempt. Catcher Mac Short’s throw to first was dropped by second baseman Tommy Connors. 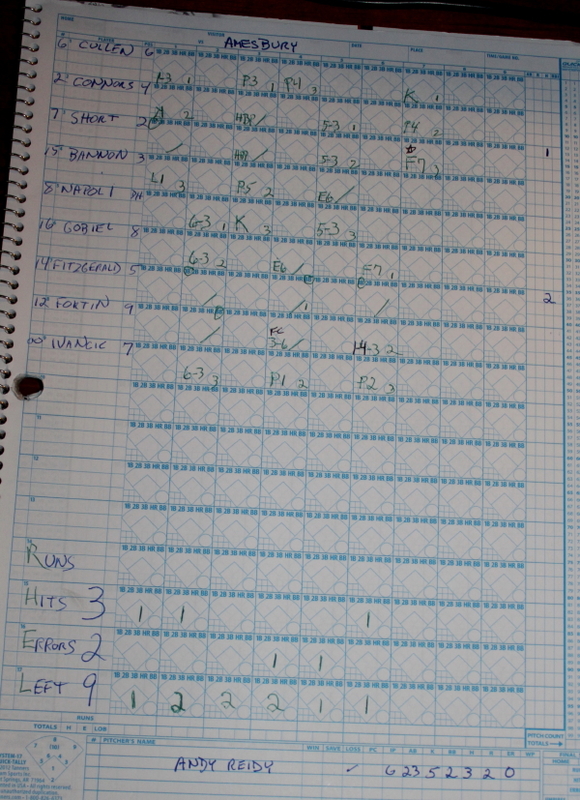 (Runners were now on first and third with no outs.) Ipswich coach Gardy O’Flynn put both runners in motion and Alex Amoroso’s grounder to short delivered Sean Whooley from third with the second run. Sophomore shortstop Mike Savoie had three assists in the second inning. 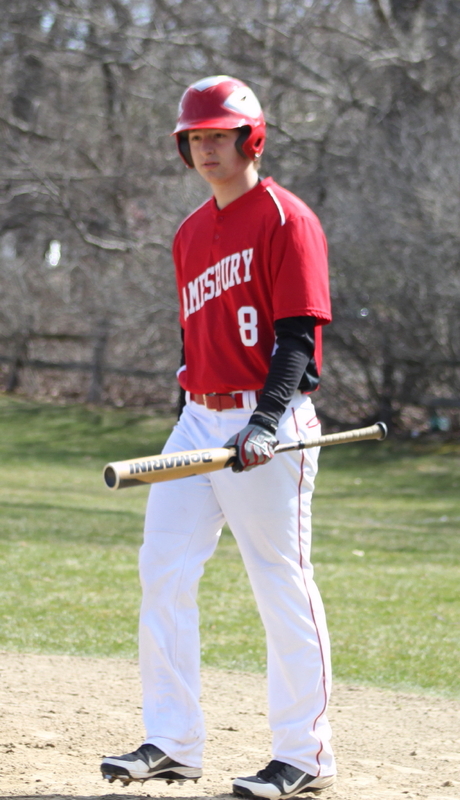 Senior Josh Guertin had three assists in the fifth inning. Ryan Law earned a save with a 1-2-3 seventh inning. The final out, however, was a bit of an adventure. Mac Short hit a fly ball down the left field line and the combination of a tough sun, and a long way to run, spelled potential trouble for Ipswich. Shortstop Mike Savoie and left fielder Dan D’Agostino came full-speed into the same area and at the last second Dan made the catch to end the game. 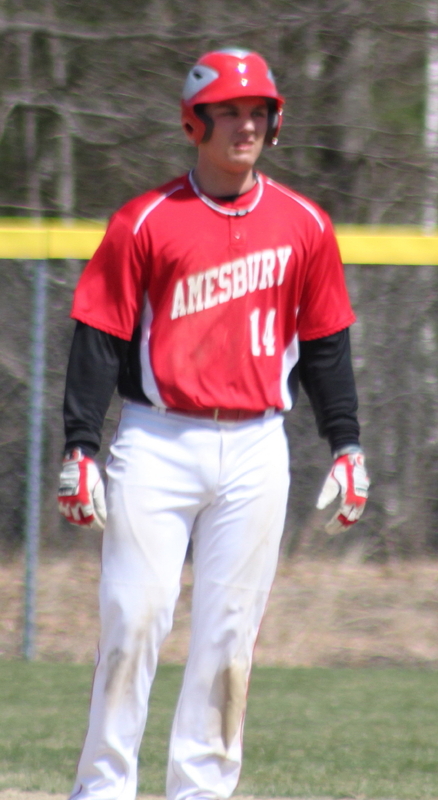 Amesbury catcher Mac Short was a Cape Ann League All-Star in 2012. The Tigers next game will be hosting Rockport on Saturday at 10AM. 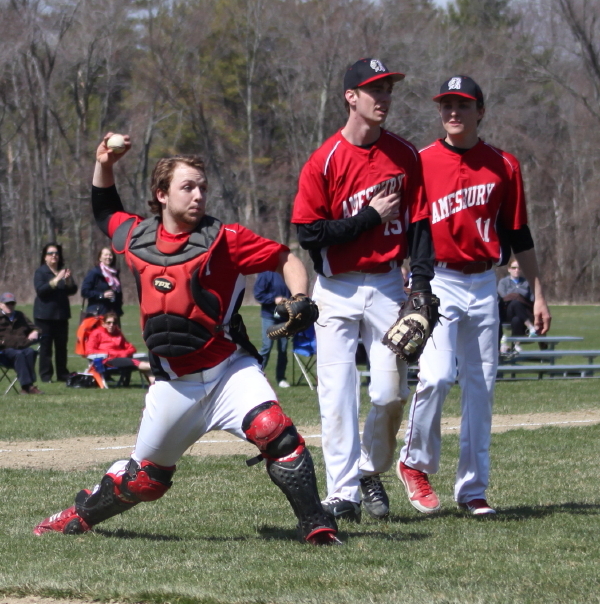 Amesbury will host Manchester-Essex on the same day and at the same time.